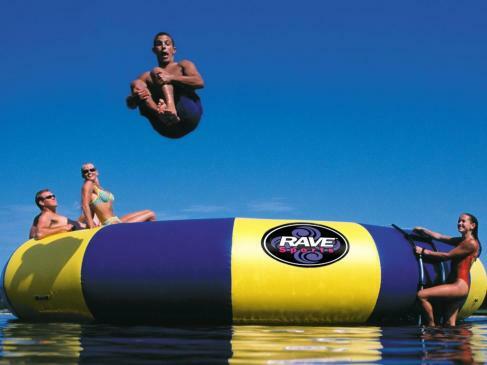 Get the Biggest Bounce on the Water! 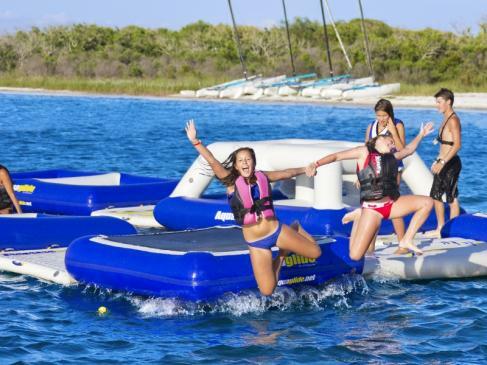 Waterfront Excitement for all Ages! 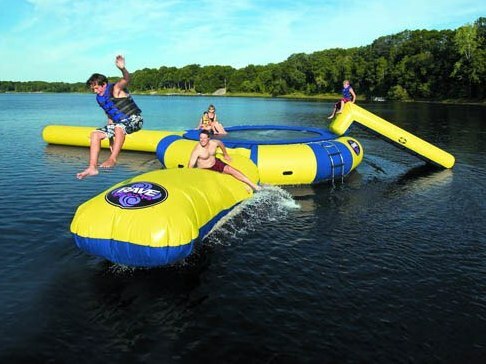 and Water Parks at Great Canadian Prices! 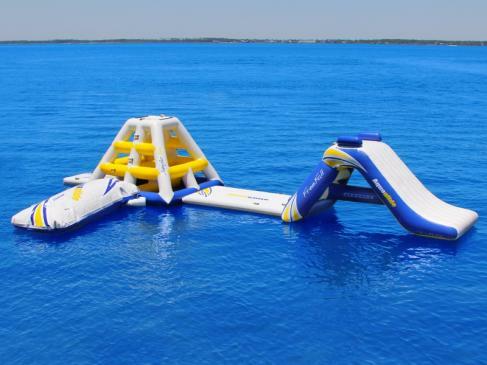 Choose one of our commercial quality, Rave or Aquaglide water trampolines, water slides, lounges or aquaparks for summers filled with family fun! 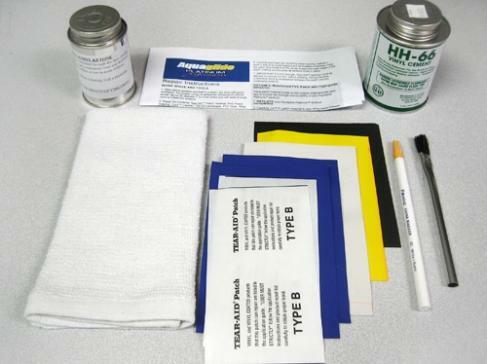 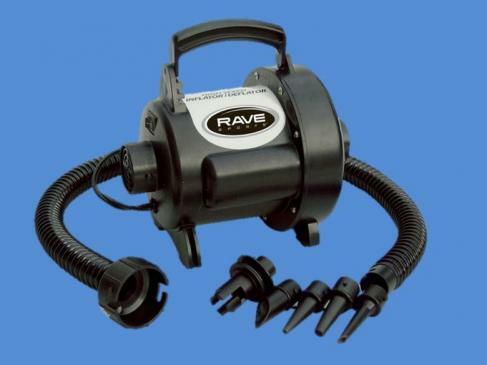 We will beat any Canadian advertised price and have plenty of stock. 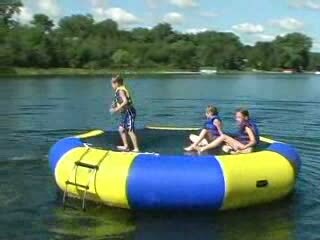 We deliver right to your home, cottage, resort or camp or you can pickup from our Ontario warehouse. 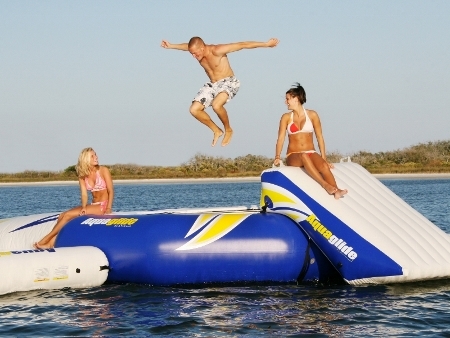 Get the big bounce on the water with a Rave Aquajump or Aquaglide Supertramp water trampoline. 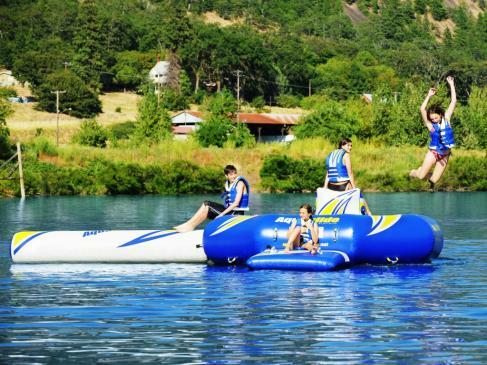 With a spring-loaded water trampoline, you will be flying high on the water this summer! 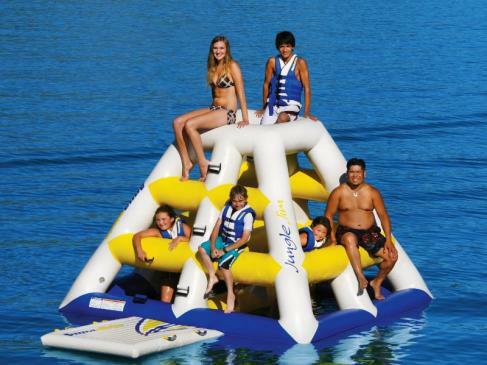 Get on the water with a Rave Bongo or Aquaglide Rebound bounce platform! 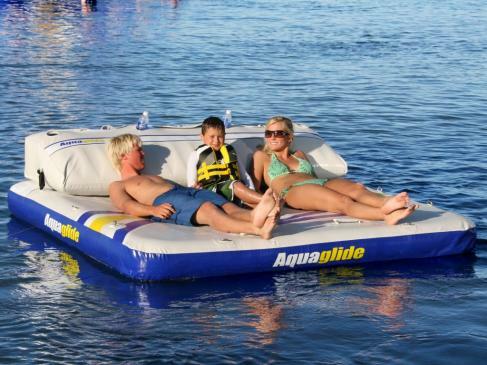 With no frame or springs, water bouncers are lightweight, portable and inflate in just minutes, for all day family fun on the water!